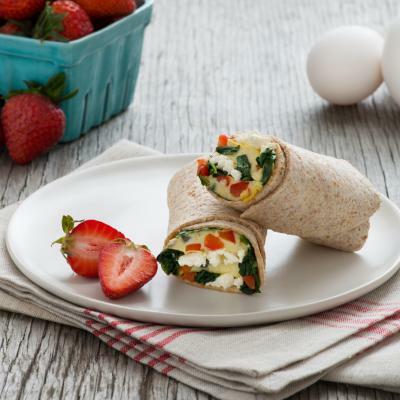 This wrap transforms Thanksgiving leftovers into a healthy and satisfying breakfast with simple scrambled eggs. Serve with a side of cranberry sauce if desired. Whisk together eggs, 2 tbsp (30 mL) water, salt, pepper and poultry seasoning. Melt butter in large skillet set over medium heat; cook garlic and sage for about 1 minute or until fragrant. Reduce heat to low. Pour in egg mixture; cook, stirring frequently, for 6 to 8 minutes or until eggs are set and soft curds have formed. 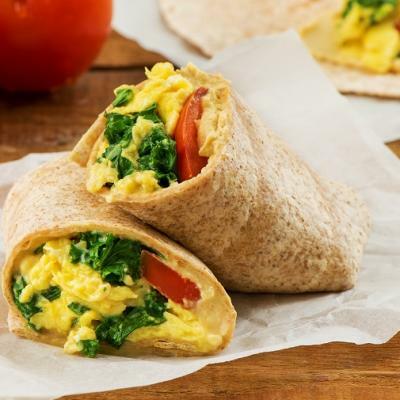 Arrange scrambled eggs down along centre of tortillas, leaving 1-inch (2.5 cm) border. 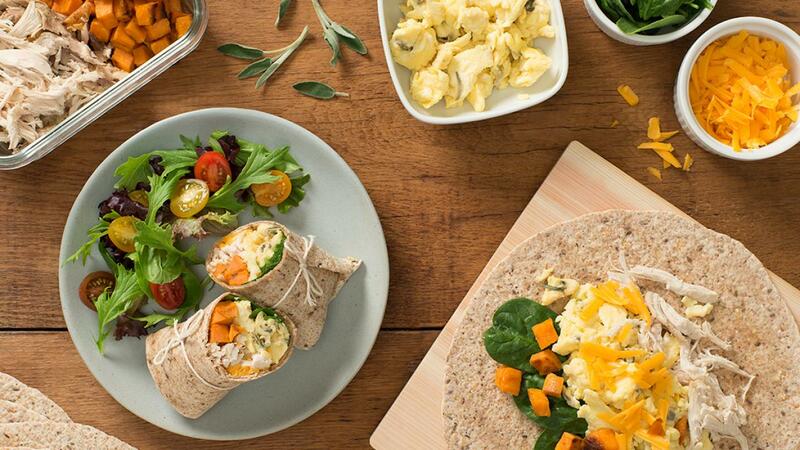 Top with turkey, sweet potato, cheese and spinach. Fold up bottom of tortillas over filling, then fold in sides; starting from the bottom, roll up tightly. Substitute arugula, mixed greens or sprouts for spinach if desired. Substitute 1 tsp (5 mL) finely chopped fresh thyme, rosemary or marjoram for sage if desired.